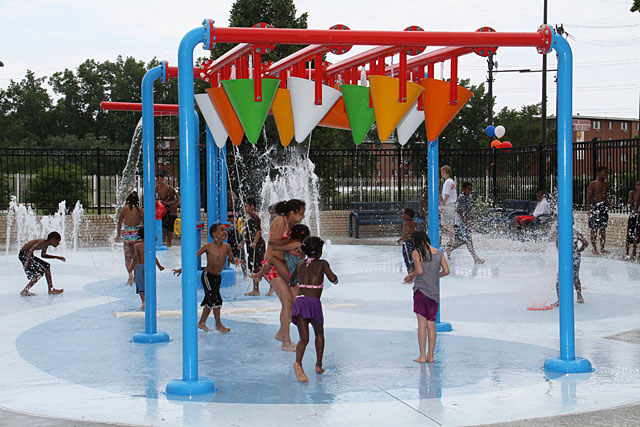 The Division of Recreation announced today that it has been given permission from The Cleveland Foundation to utilize the remaining $42,000 from the previous year’s recreation extended hours program. These remaining funds will keep four recreation centers open Wednesday through Saturday until 11:00 p.m. and offer recreational programing. Extended operating hours at the four chosen recreation centers will be 11:30 a.m. – 11:00 p.m. on weekdays and 9:30 a.m. to 11:00 p.m. on Saturdays. The funds will allow the Division of Recreation to operate extended hours and programming at the following four locations from Wednesday, July 8, 2015 through Saturday, August 1, 2015. Lonnie Burten, 2511 East 46th Street. Zelma George, 3155 Martin L. King Blvd. Glenville, 680 E. 113th Street. Security will be assigned to all four recreation centers each day until closing time at 11:00 p.m. Curfew laws will be enforced. For more information, call the Division of Recreation at 216.664.2570.